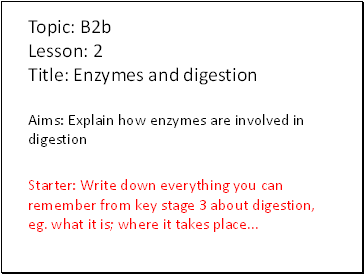 Starter: Write down everything you can remember from key stage 3 about digestion, eg. what it is; where it takes place . What breaks down the large molecules? Listen carefully and make notes in your book. 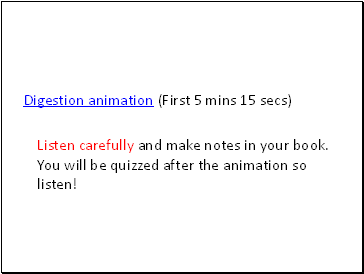 You will be quizzed after the animation so listen! 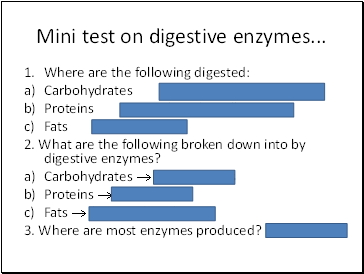 Mini test on digestive enzymes . 2. 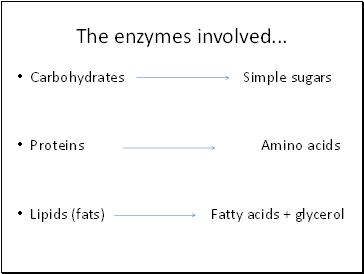 What are the following broken down into by digestive enzymes? Why do you think there is acid in the stomach? 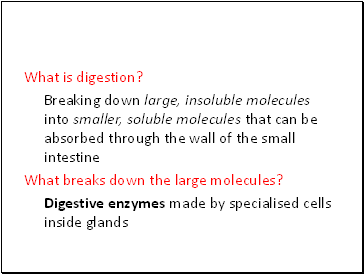 Ever wondered why PEPSIN (stomach enzyme) doesn’t digest our own stomach? 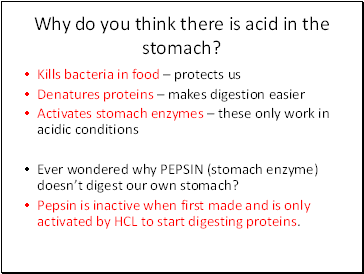 Pepsin is inactive when first made and is only activated by HCL to start digesting proteins. 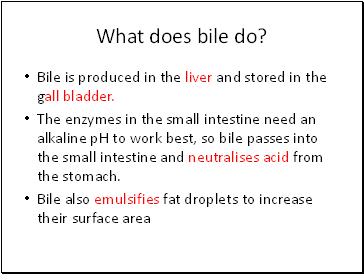 Bile is produced in the liver and stored in the gall bladder. 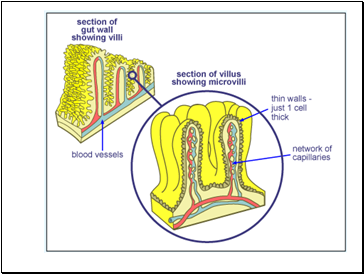 The enzymes in the small intestine need an alkaline pH to work best, so bile passes into the small intestine and neutralises acid from the stomach. 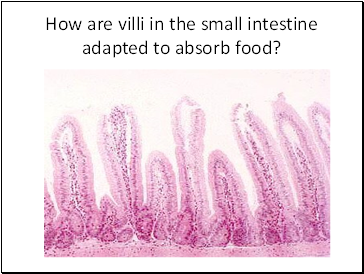 How are villi in the small intestine adapted to absorb food? 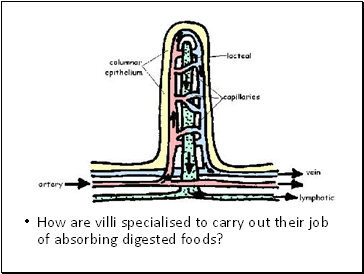 How are villi specialised to carry out their job of absorbing digested foods?